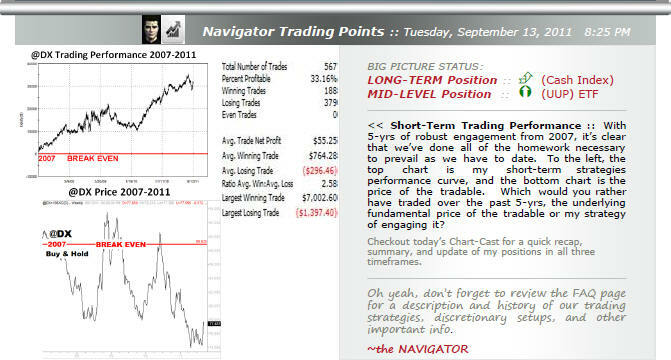 Below you will see a list of three premium content files followed by lists of several archived video files and special reports from the Chart Cast Pilot. We have intentionally disabled many of the links however upon subscribing; you will have access to all of the archives and special reports. We suspect this ample sampler will give you a very good idea of what to expect from the Chart Cast Pilot. 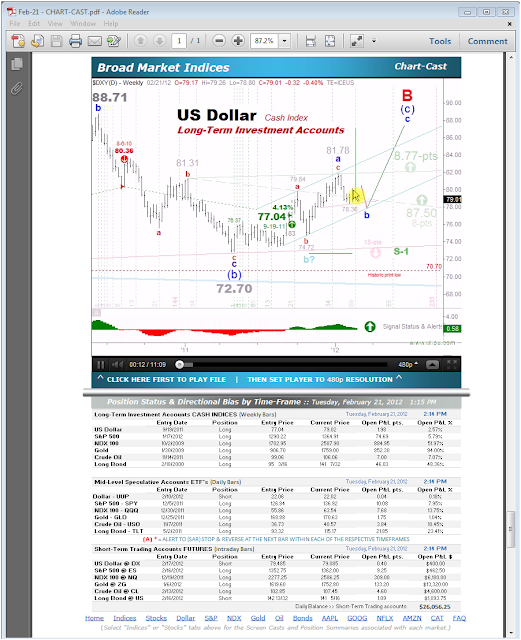 To get the highest quality chart images and video resolution, scroll down to the TIPS & TRICKS section for some suggestions. Whether they contain embedded video or not, SAVING content FILES and opening them to view from the ADOBE ACROBAT READER renders much higher quality images. 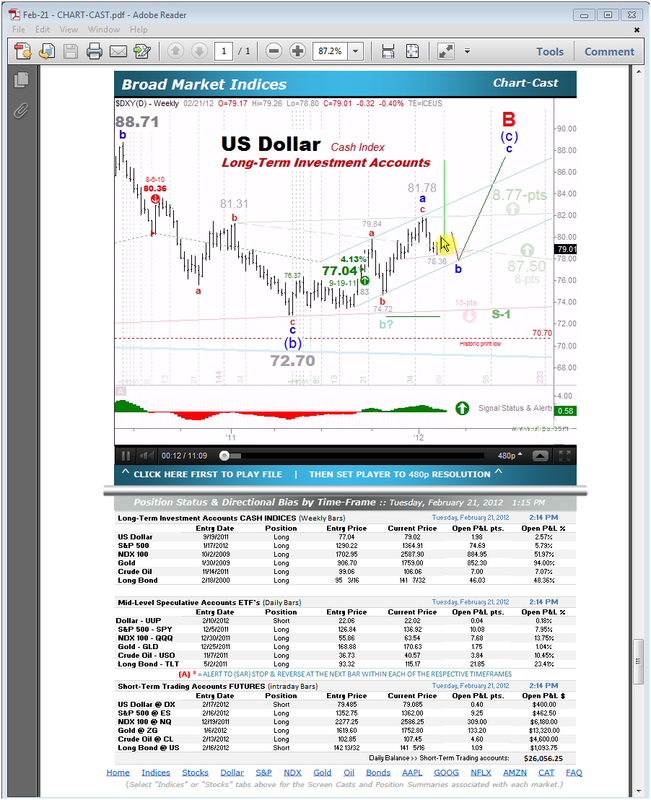 The default viewer is okay, but the quality rendered from the ADOBE READER is FAR SUPERIOR. IMPORTANT 1/20/2012: PLEASE NOTE: It has come to our attention that for one reason or another, the most recent Adobe Reader Update (Version 10.1.2) does not properly recognize nor play our embedded videos. Until this is resolved, please use the Adobe Reader Version 10.1.1 to play saved PDF files from your hard disk. There does NOT however appear to be any problems with video playback using the new version (10.1.2) when opening files via Drop Box directly from within your browser. This is the default method of delivery however, if you wish to save PDF files to disk and play them later, version 10.1.2 does not appear to work at this time. To gain maximum quality resolution when viewing PDF files in the free Adobe reader, it may be necessary to tweak the magnification or Zoom %. For instance, on this sample PC (see snapshot) the Adobe magnification setting is set to 87.2% for maximum quality resolution. Once you find the exact % of magnification that works best on your PC, you can set the reader to automatically open the files at this zoom level each time. To do this, you can go into the Adobe reader, and under the edit tab, select “preferences.” In “page display” under the categories heading, you can set the Page Layout to “Automatic,” and set it to open at your desired percentage of “zoom.” In this case, we set the reader to open at 87.25 each time we open up a PDF. What can we do better? Please provide suggestions for improving our products and services. Submit your question and get an answer at our first opportunity. We are working with Adobe engineers to resolve issues surrounding "Adobe Readers" inability to play embedded videos on the MAC platform. They have identified the trouble with "Reader" on the MAC platform as a known "bug" resident within the reader. They have informed us that they are unable to commit to specific timeframe for fixing this "reader" related bug on the MAC platform. All we can do is keep checking for updates to the latest reader and hope that the next such update will include a fix for the bug. 1. After clicking on the PDF links, select "yes" to open the PDF with the adobe reader. 2. 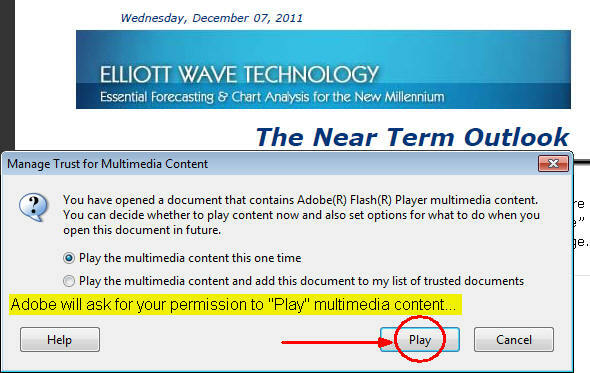 Select "Play" multimedia content to activate navigation tabs and chart-cast videos.